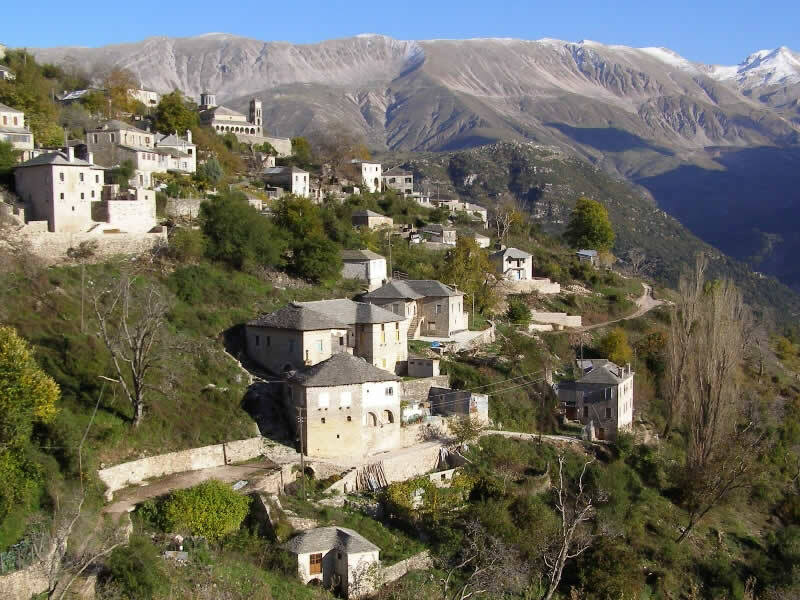 Kalarrytes is a mountain village in Epirus falling under the prefecture of Ioannina and is located at the southeast end. The settlement is located between the mountains of Peristeri and Tzoumerka, at the edge of the ravine leading to Kalarrytikos River in the region in which we distinguish rich flora and fauna. The ravine of Kalarrytikos divides Kalarrytes from Syrrako. Kalarrytes developed mostly in the 18th century. The inhabitants were mainly engaged in trade of textiles and leather, the silverwork and livestock. The entrance to the village of motor vehicles has been prohibited. 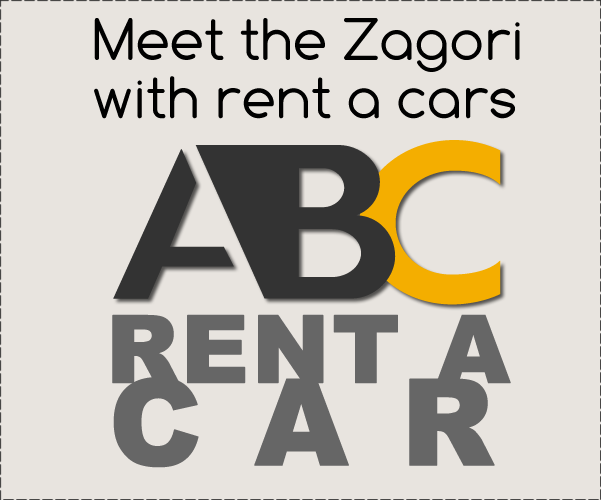 For this reason there are four parking spaces outside the village on positions Gkontro Tsiora, Argi, Plaka. 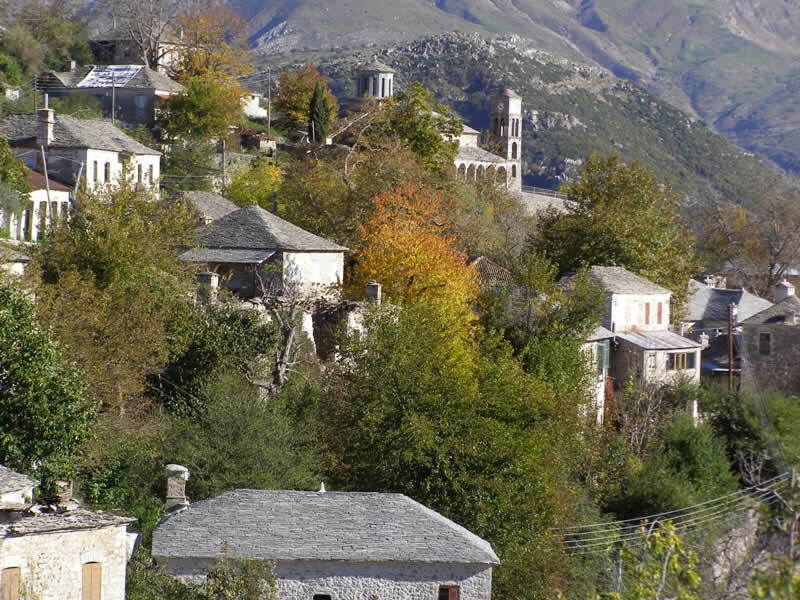 The settlement Kalarrytes is classified as preserved, because it follows the traditional Epirus architecture and the gray stone is the main construction material of the houses. Kalarrytes are 72 km. away from Ioannina, 263 km. from Thessaloniki, 436 km. 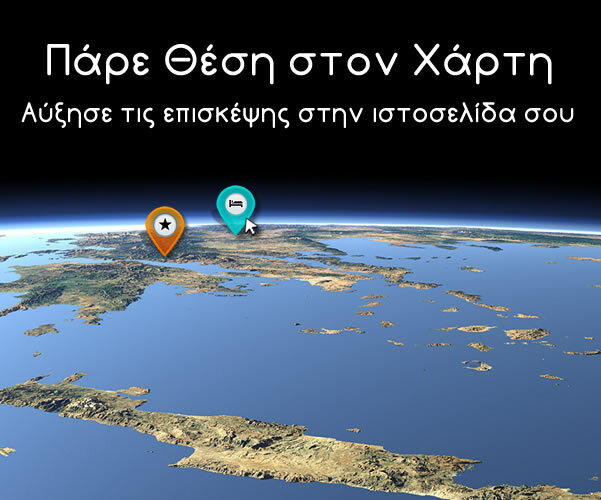 from Athens and 242 km. from Patra. If you visit Kalarrytes, you can see the archaeological site, situated at Abaton northeast of the village. The space isn’t organized, and the access to the area is difficult, but there are ruins of a city wall, the gate and the tower. In the area were found looted cemetery, tank and bronze objects. In the village and the wider region will also see the fountain of Paraschi built in 1768, of Nessi, Goura, Bargianni, Bazaki, Jora, Boufou, Fytrou, Baltas and Gkontrou. On Mintza and Turturi positions will come across bridges of the village. On Tsora, Argi, and Kelly places will meet many threshing floors. In Raftani position is watermill, as well as in Kouiasa position. In the village there is the church of St. Nicholas, who is the patron saint of Kalarrytes and was built in the 15th century. The church of the Holy Trinity is also located in the village and was built in 1818. In the region there are many churches, like St. Athanasius, the Virgin Mary, of St. Anargyroi, Saint Christopher, Saint Paraskevi, Prophet Elijah and the Transfiguration. In the village square you will find a marble column stating featured villagers. Ιν Kalarrytes there is a listed building that was formerly a school. 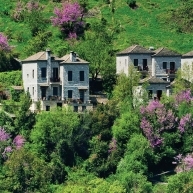 In Kalarrytes you will find many hotels and many hostels that will offer you a pleasant stay in the village. Also, do not hesitate to try in the local taverns the traditional Epirus flavors and sip your coffee in the village square. 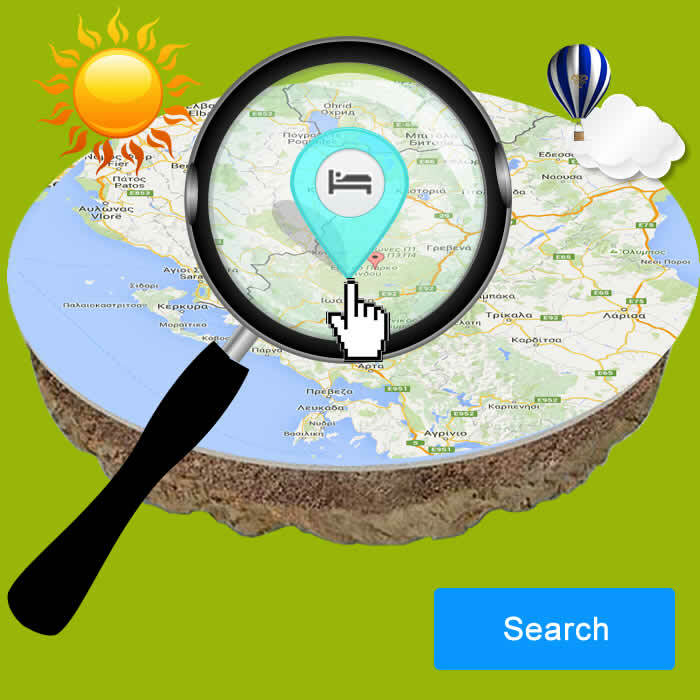 Near Kalarrytes are located Ioannina and Arta. If you visit the village, you can spend time to other close beautiful villages, such as Syrrako, Christoi, Prosilio, Pramanta, Paleochori, Kistades, Tsopelas etc.